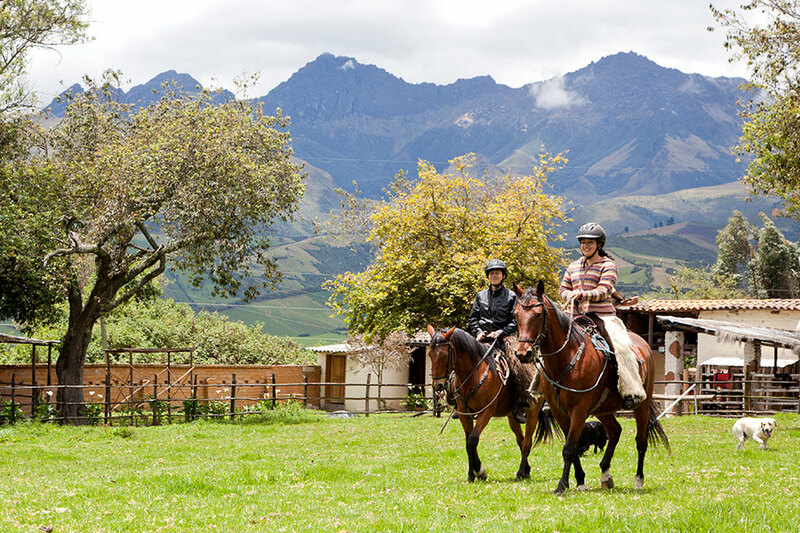 The Giralda hut is named after a fierce white mare who participated in the war of independence. 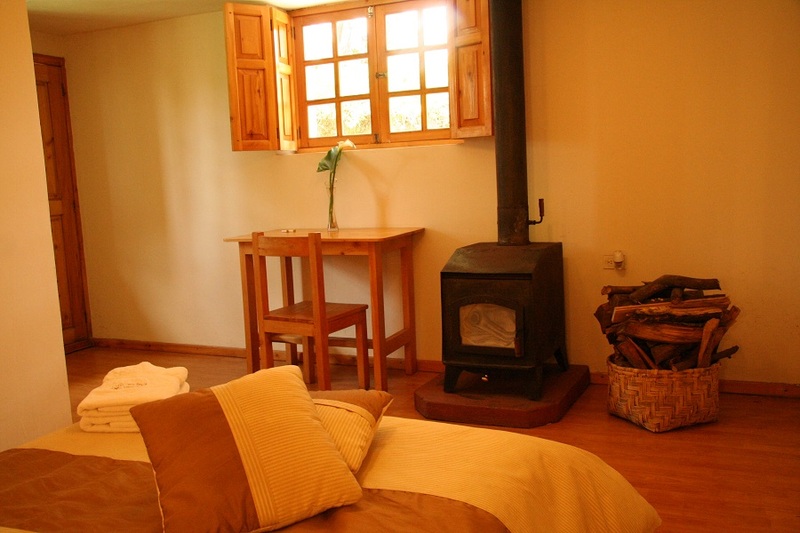 The cottage is equipped with modern furniture and has two bedrooms. 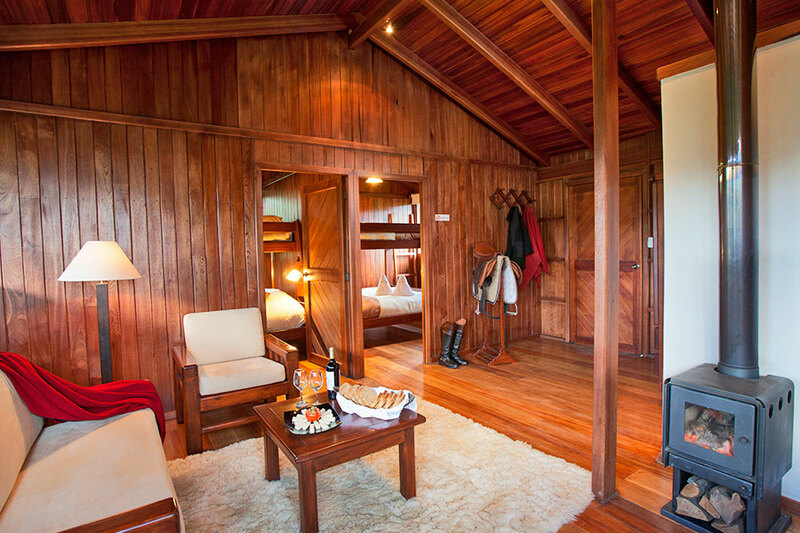 One of the bedrooms has a bunk bed. 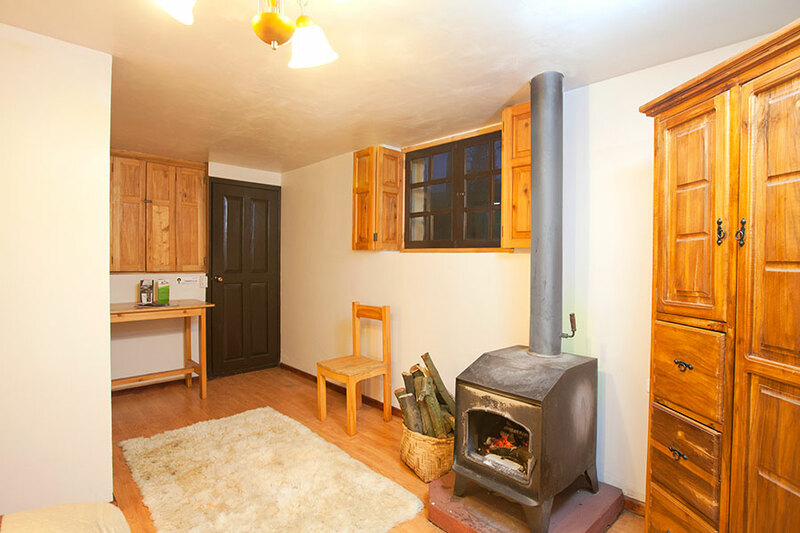 Furthermore the hut is equipped with a full kitchen and a small but cozy living room with a warm fireplace. 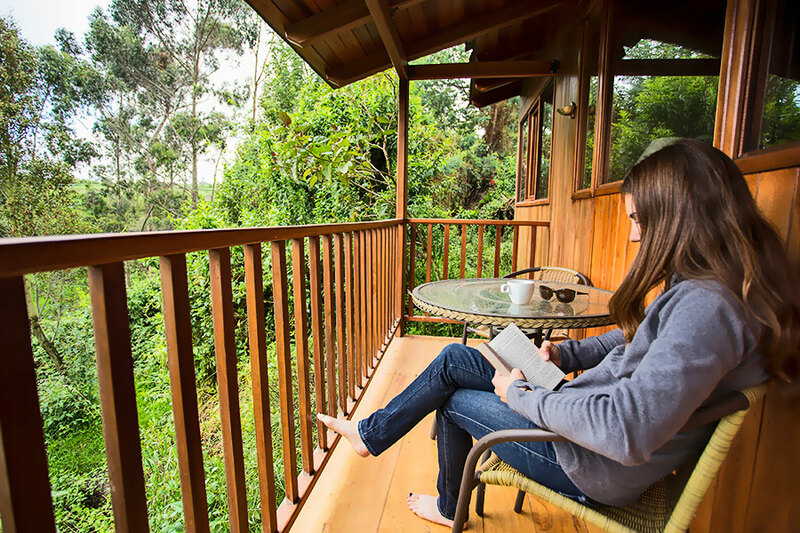 From the balcony you can enjoy a beautiful view of the mountains, lush trees and thick vegetation around the inn and feel the caress of the Andean wind touching your face. The famous Liberator Simón Bolívar, admired and loved by the Latin American people, received a crown from the King as an honor to his particular way of leading. This crown was elaborated in gold and covered with laurel leaves. 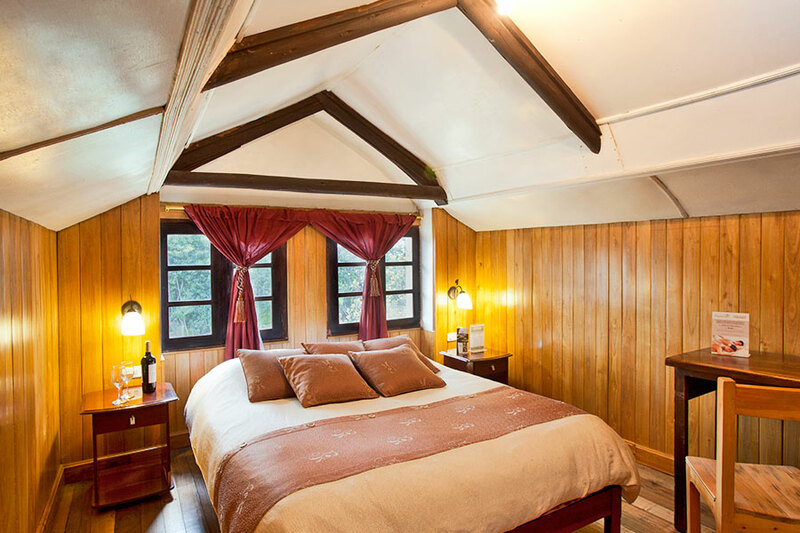 The Corona room has been restored with great elegance as it was in colonial times in Latin America. 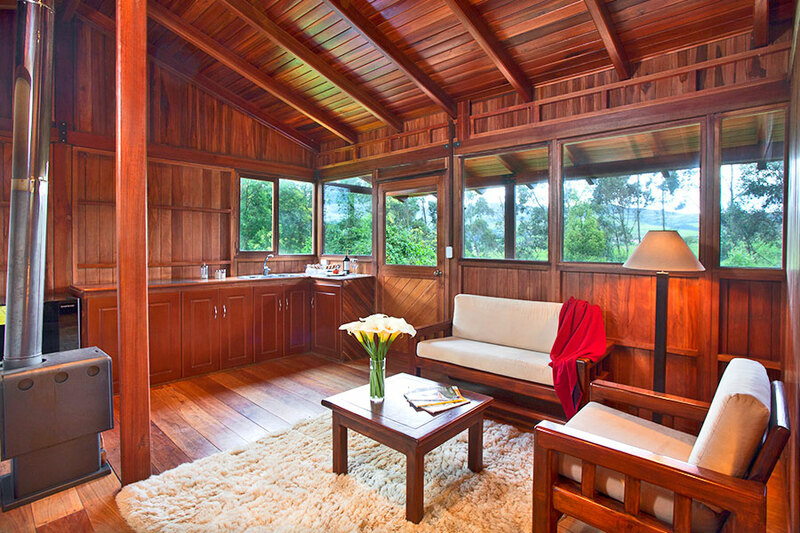 This bright suite has an incredible view on the garden of the inn and the Andean mountains. 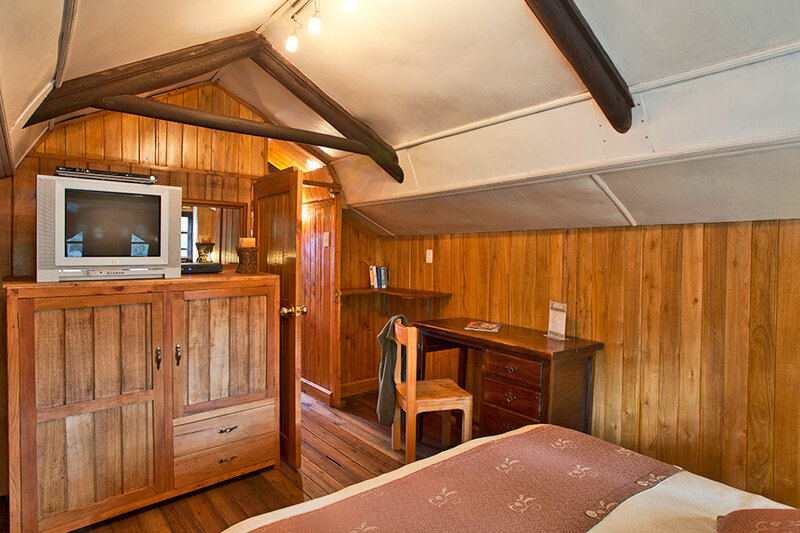 It has a double bed, cable TV, dvd player, wooden wardrobe, desk, private bathroom, heater, mirror and classic lamps. 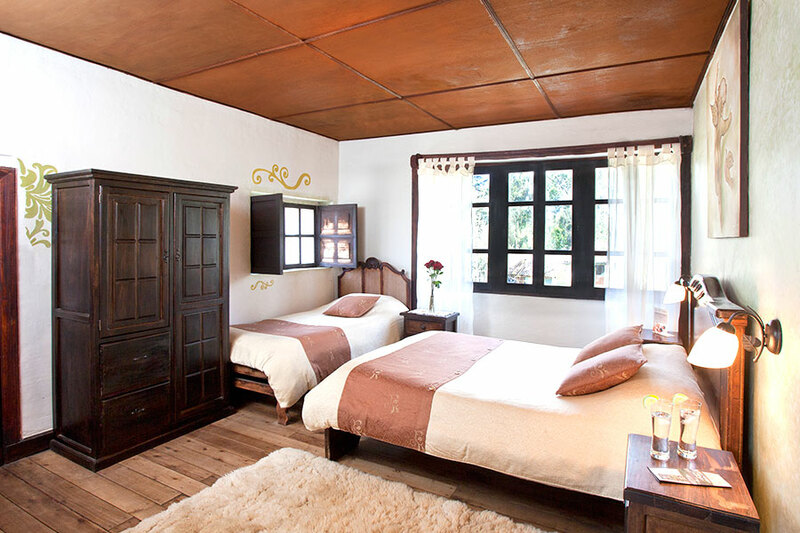 If you choose to stay in this suite you will find yourselves in the colonial era. Simón Bolívar played a predominant role in the Ecuadorian and South American history. He is considered as one of the most important leaders that has been known in Latin America. 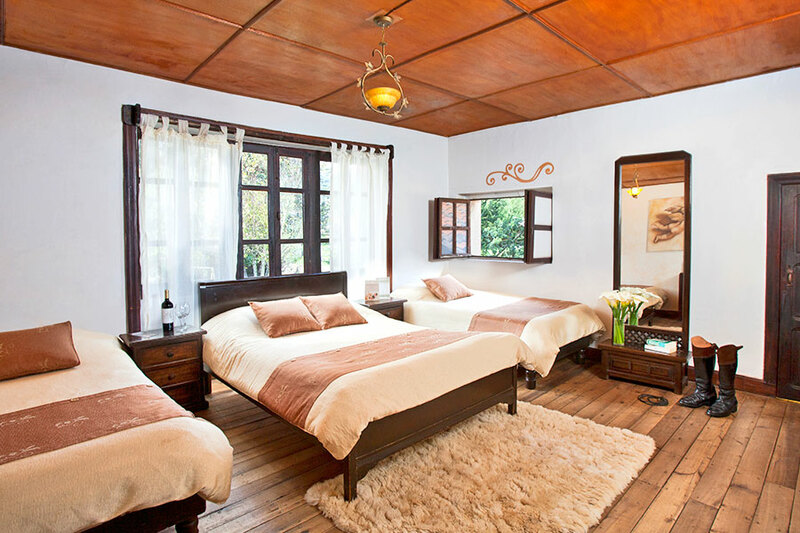 Every time he visited Ecuador, he loved to stay in the classic haciendas of the time, inspired by human warmth, the pleasant atmosphere that the nature offered him and the hospitality of the Ecuadorians. 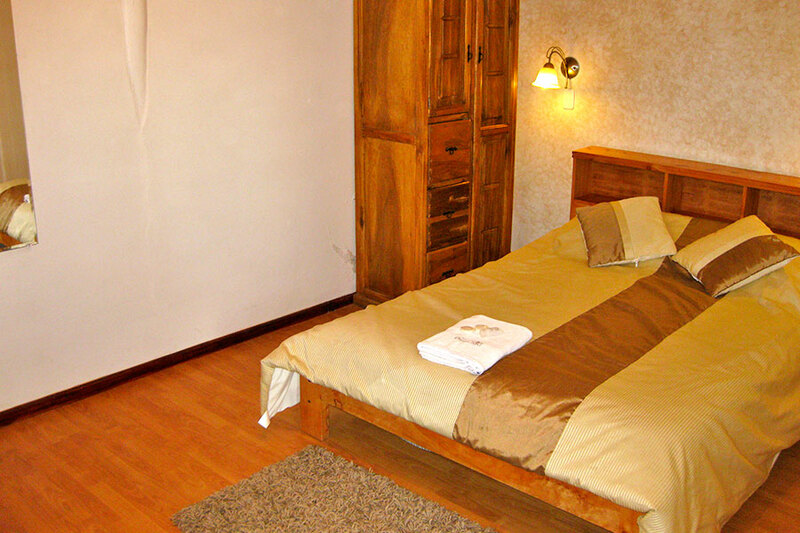 The room that leads to it has been carefully decorated to make the guests feel the warmth of home. 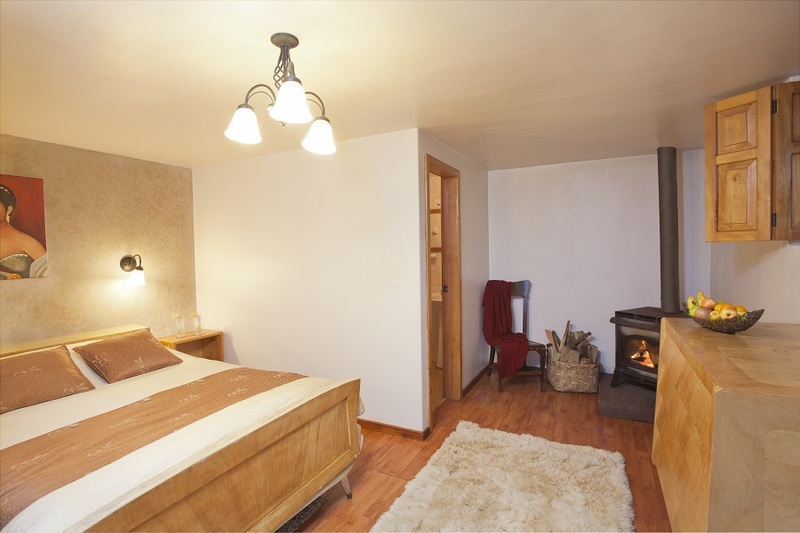 This pleasant and bright suite has a double bed, wooden floor, fireplace, a window overlooking the garden, classic period lamps, a wooden wardrobe with mirror and also has a relaxing bath tub where you can relax after a day of hiking in the mountains. Isabel was a famous woman member of the family of Antonio José de Sucre. Her origins were Spanish and Belgian, which helped her education. Although her roots were Spanish, she always fought for human rights. She grew up in an environment where women were considered an important part of the family and society. For this reason every detail of this room reflects Isabel's way of being characterized by its beauty, calmness and elegance. 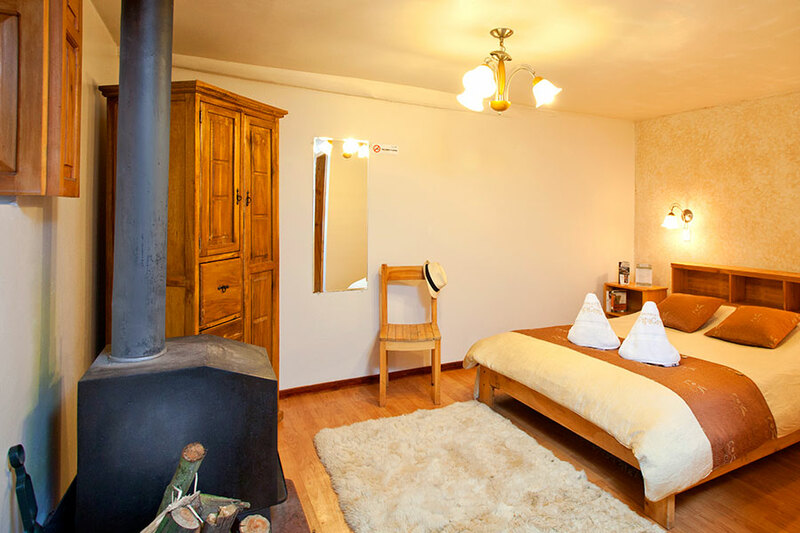 It has a double bed, fireplace, garden view, private bathroom, heating, classic mirror, designer paintings and a cozy atmosphere, where you can enjoy a cozy atmosphere. Marqueza has earned its name because of a beautiful woman who fell in love with Simón Bolívar, she was a very intelligent woman who used to help him write his famous speeches. Her opinion was of great importance to the military leader, who considered it as a primary support. 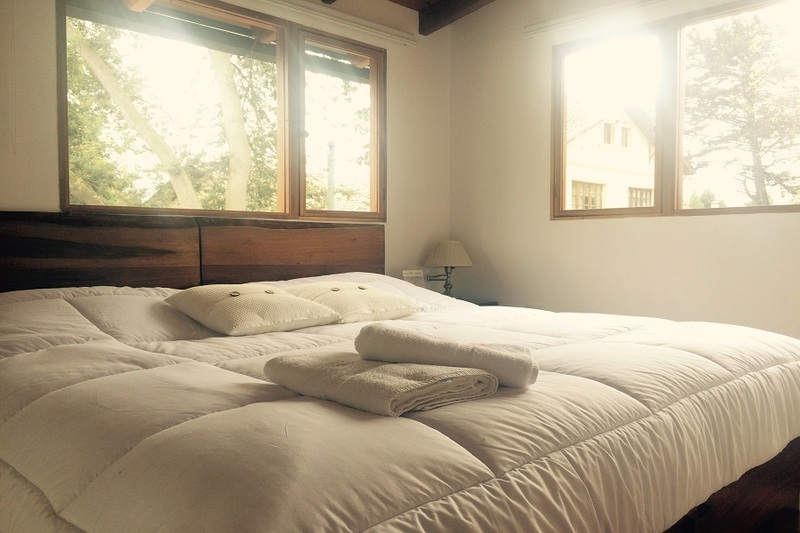 This room has been painted yellow as a symbol of intelligence, has large windows that allow you to enjoy the refreshing view of the garden, 3 beds to be shared with dear friends, just like Bolívar. 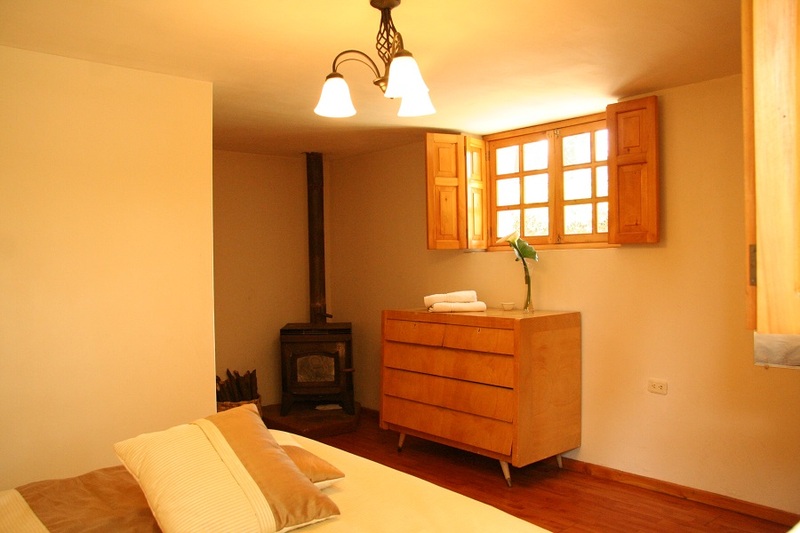 In Marqueza you will have enough space to give comfort to your rest, classic lamps, wardrobe and wooden floor. 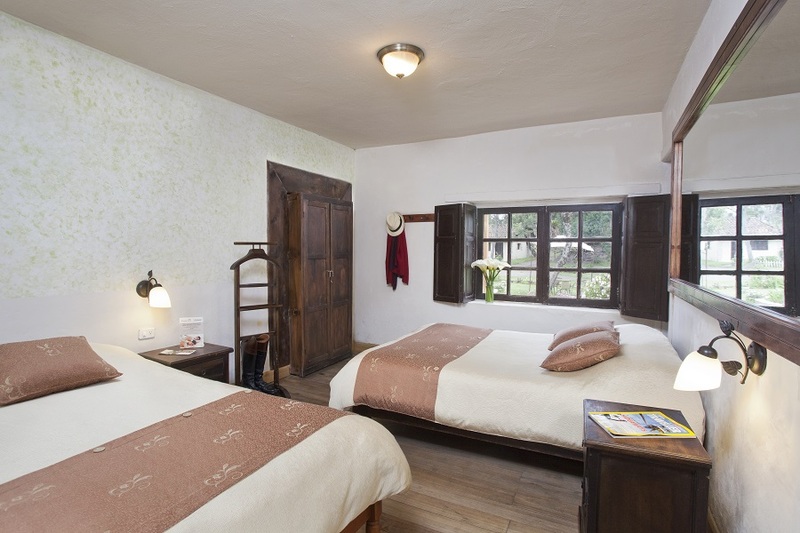 Accommodation in Marqueza will make you feel completely relaxed as if you were at home. The duchess of Alba Maria, also part of the revolutionary history of Ecuador, is a woman who belonged to a very influential and wealthy family of the time. 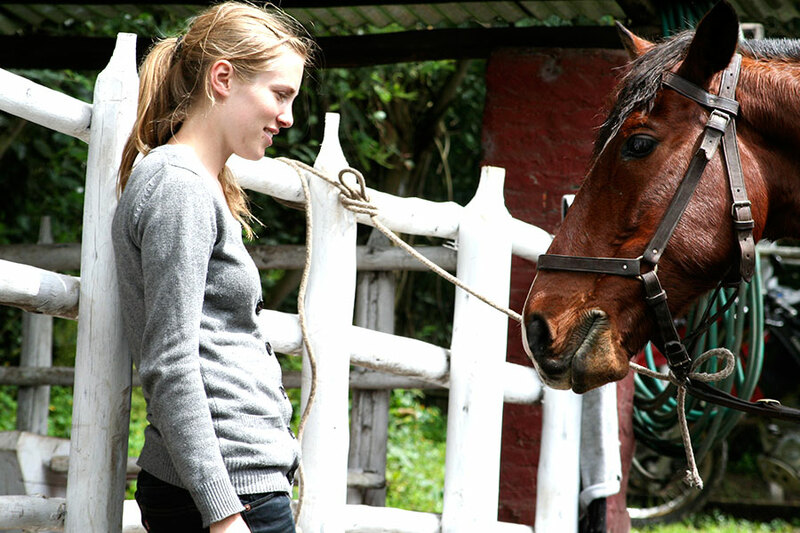 She had the opportunity to meet Bolívar at a family party at home, her husband was a military man as well, consequently they became very good friends. 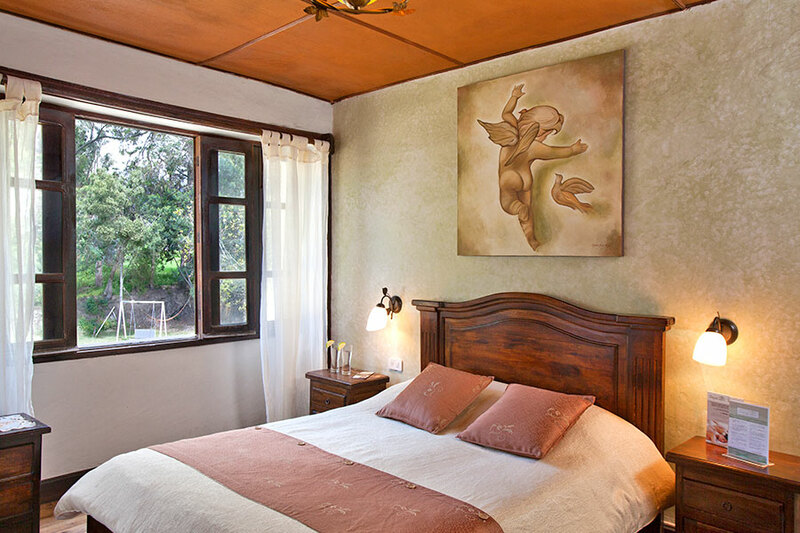 The Duqueza room welcomes its guests in a friendly way, with large windows and its decoration it allows the guest to enjoy a refreshing view of the pool and garden. 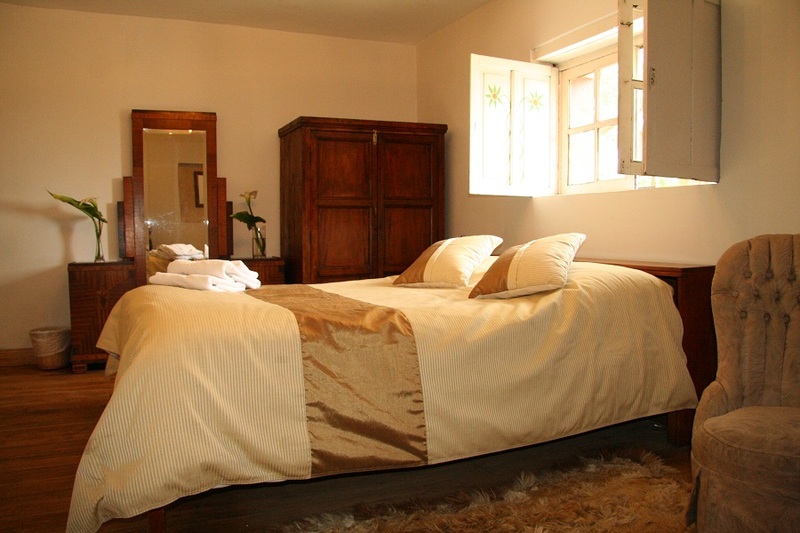 It has a double bed and a single bed, a wardrobe, shelves and wooden floor, classic lamps next to the bed. 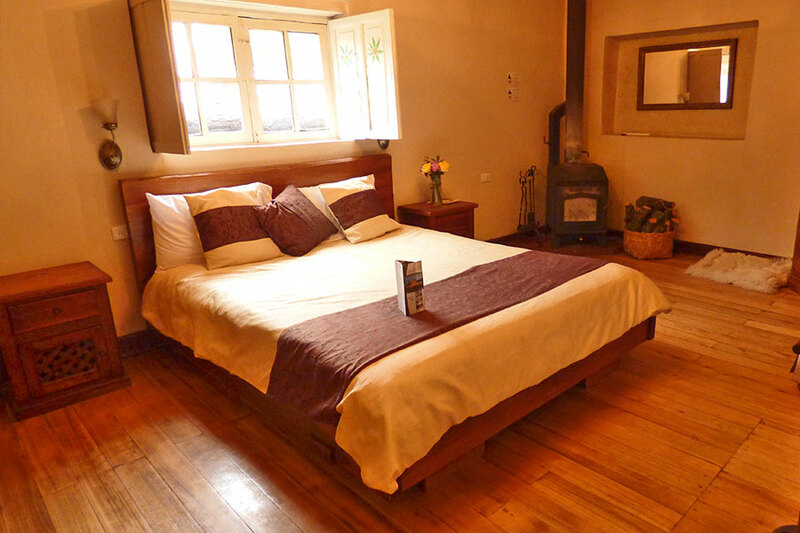 Staying in Duqueza makes you experience an enchanted story. Antonio José de Sucre was a close friend of Simón Bolívar. They both shared the same ideals and both fought against the Spanish oppression of the time on several occasions. Sucre was a brave general who dreamed of building the "Great Colombia" that was constituted mainly by the union of Ecuador, Colombia, Peru, Venezuela and Bolivia. The "Sucre" was the symbolic currency representative of Ecuador for many years. 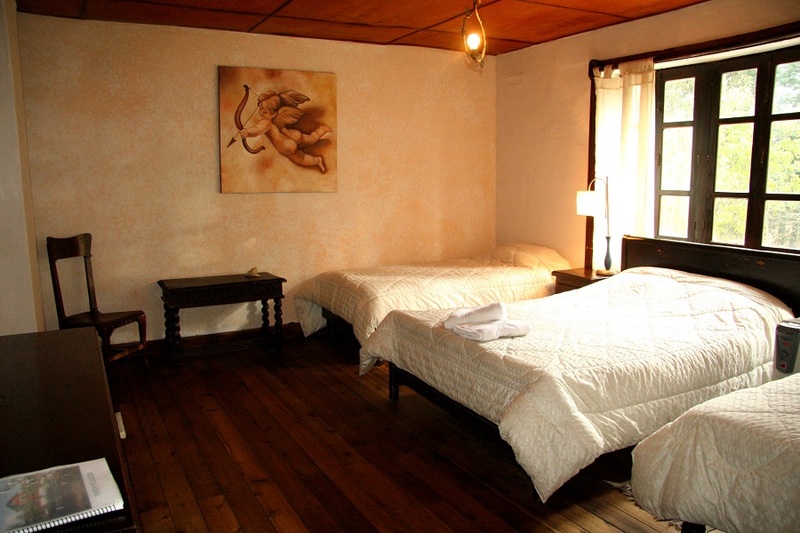 Consequently, its name Sucre is very relevant in the Ecuadorian history. 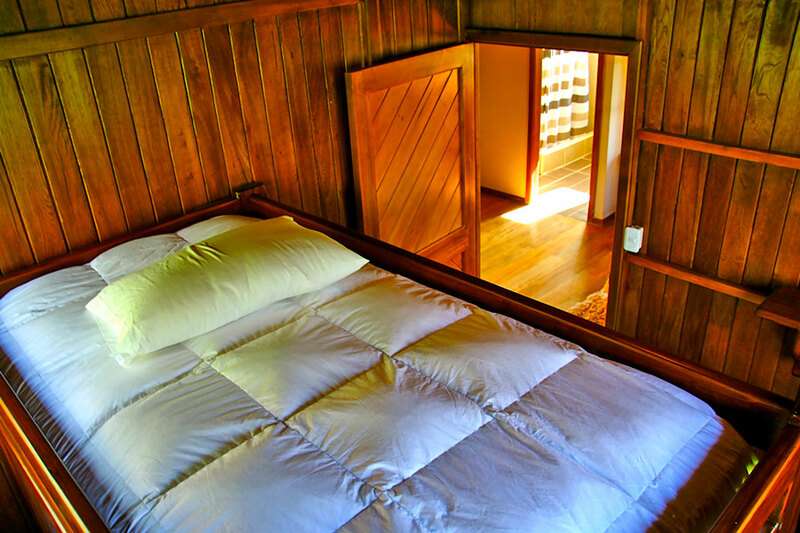 This room has been carefully decorated with a wooden floor, it has a nice view on the garden with a pool. 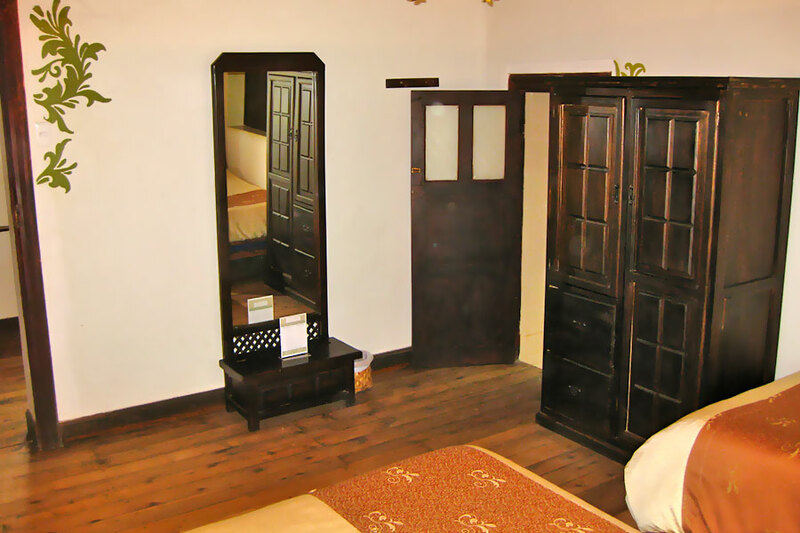 It has a double bed, a classic wooden wardrobe and lamps. "Victoria" was the first word pronounced by Simón Bolívar and Antonio Jose de Sucre when they hoisted the flag as a symbol of freedom and independence. 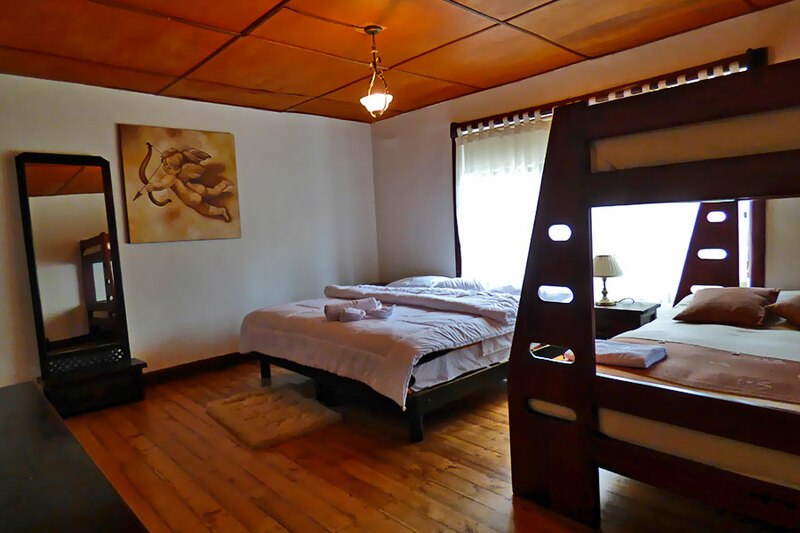 This special suite is very colorful and has a double bed, fireplace, beautiful garden view, artistic paintings, bed lamps and a relaxing bath tub. Staying in Victoria is like winning freedom after a great battle. Carolina is also considered a remarkable woman. She represented the new generation after the defeat of the Spanish colony. 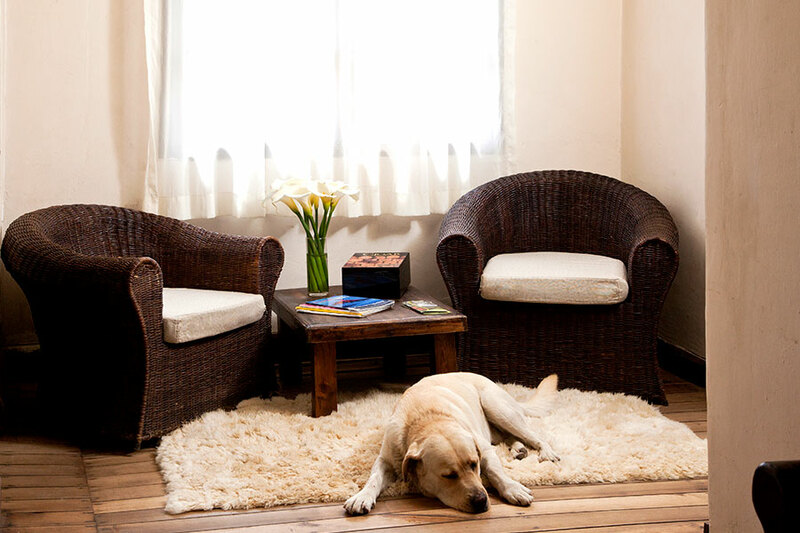 This room has been decorated in a friendly and simple way. 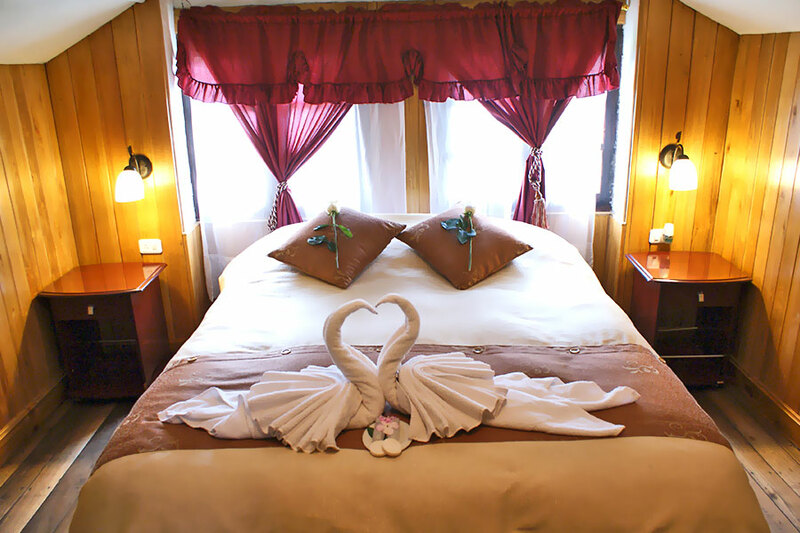 It has a double bed, with luxurious mirrors and bed lamps. 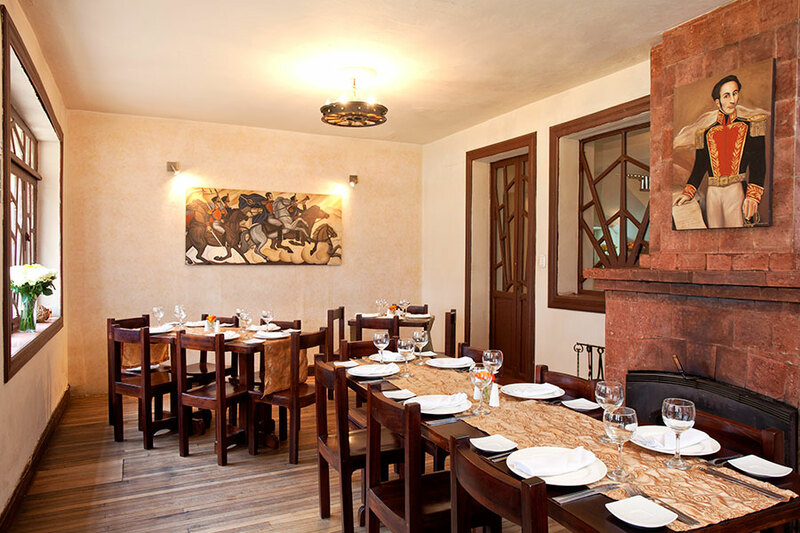 Carolina is the perfect room to enjoy the complicity with dear friends. Antonio José de Sucre, "The Great Marshal of Ayacucho", a nickname that represented his military category in the place where he became famous for the first time. His father, also a military man, was proud of his son for being a respectful man and for following in his footsteps. Sucre was a good leader, and very tolerant. 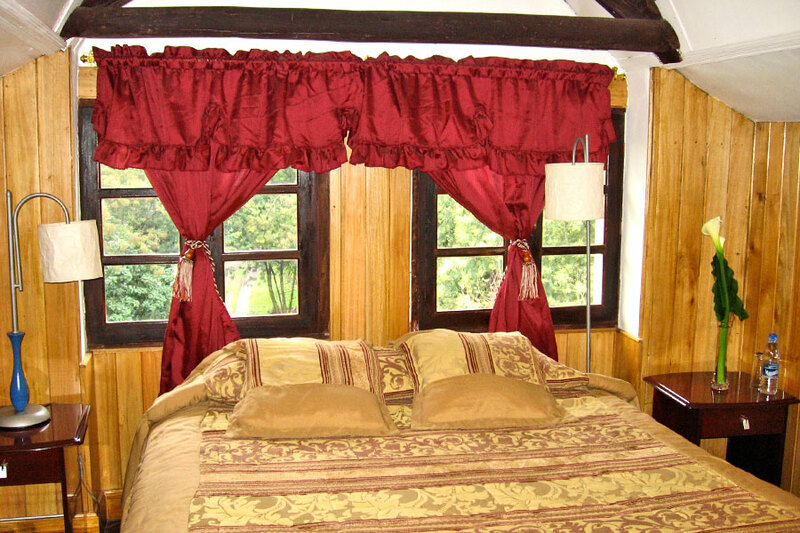 This room has a special view of the garden fountain, with a special restoration of the windows. 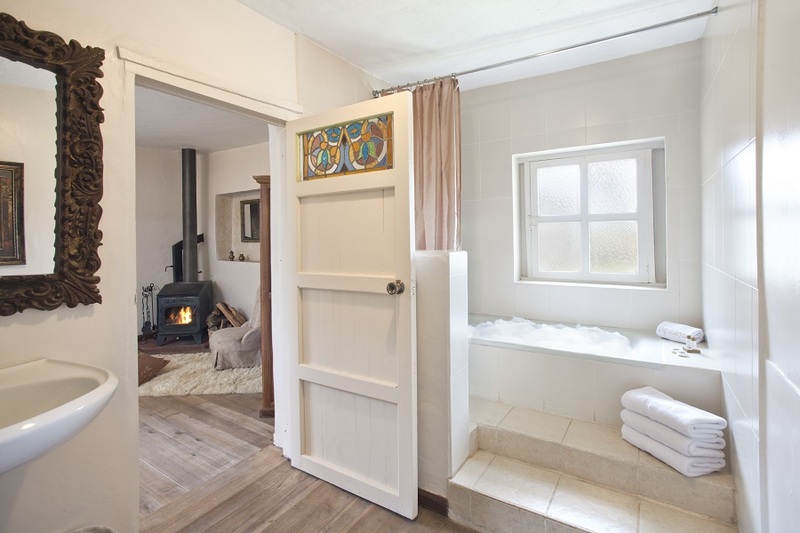 It has a double bed and a single, private bathroom, wooden floor, heating, radio, wooden wardrobe, and classic lamps. Here you will relive the anecdotes of the time. Emanuel reminds us of the new generation originated after the colonial era, this particular character represent the nobility of those times. 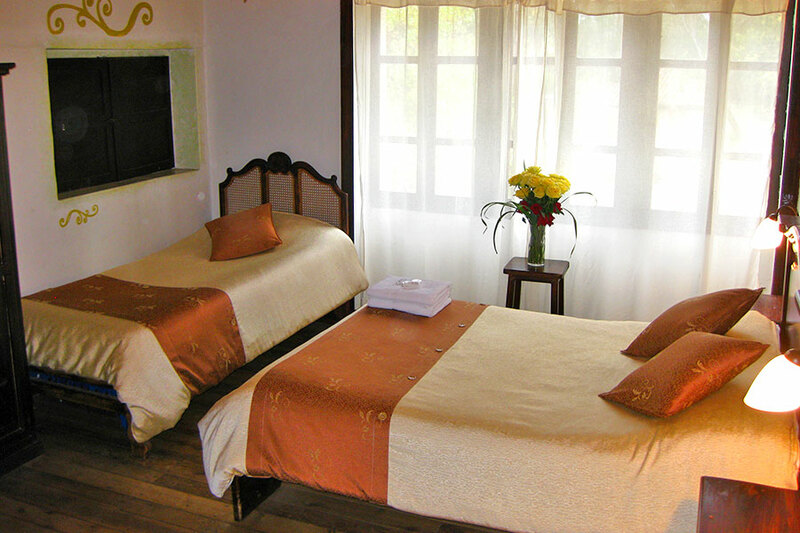 Guests will find all of the finest amenities in each of the 20 rooms in this popular 3-star hotel. 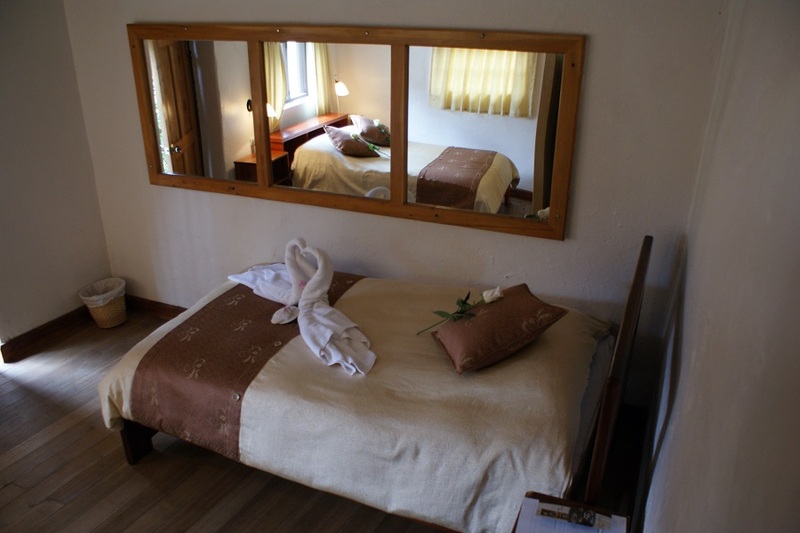 It has a double bed nicely decorated with semi-modern furniture. 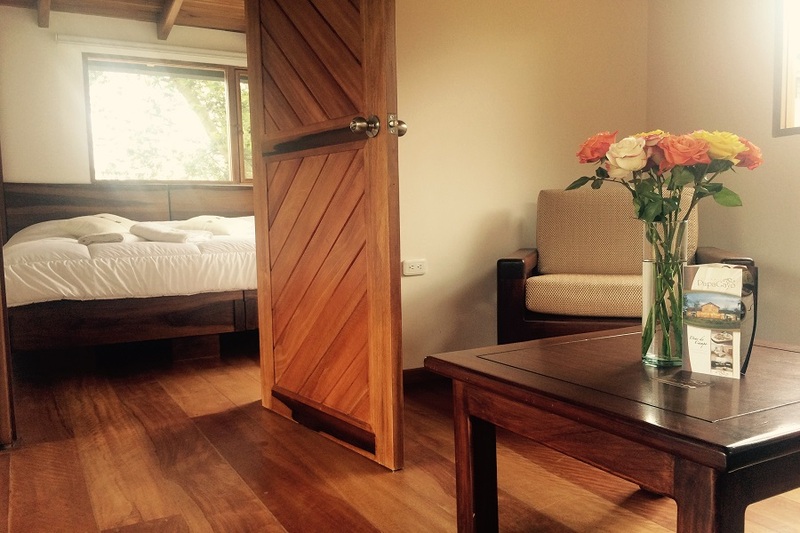 Staying in Emanuel is like breathing freshness and tranquility. 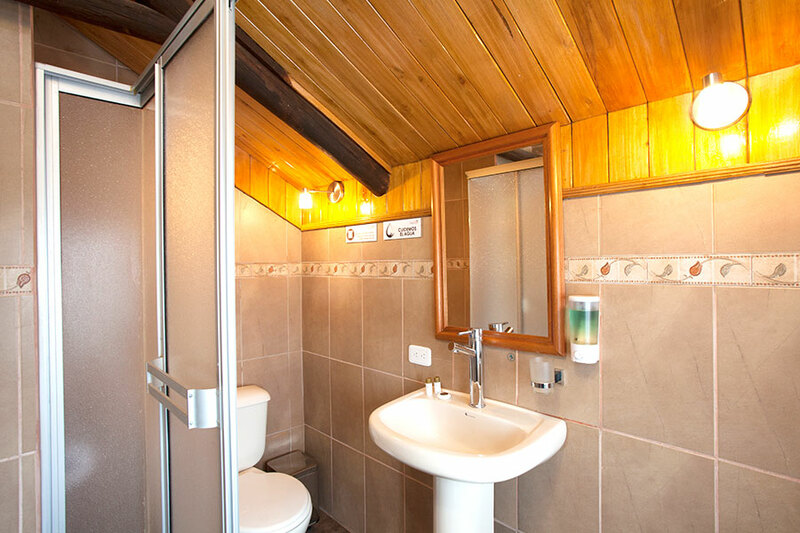 The Esperanza cabin will provide you with all the necessary amenities to have a perfect stay with family or loved ones. 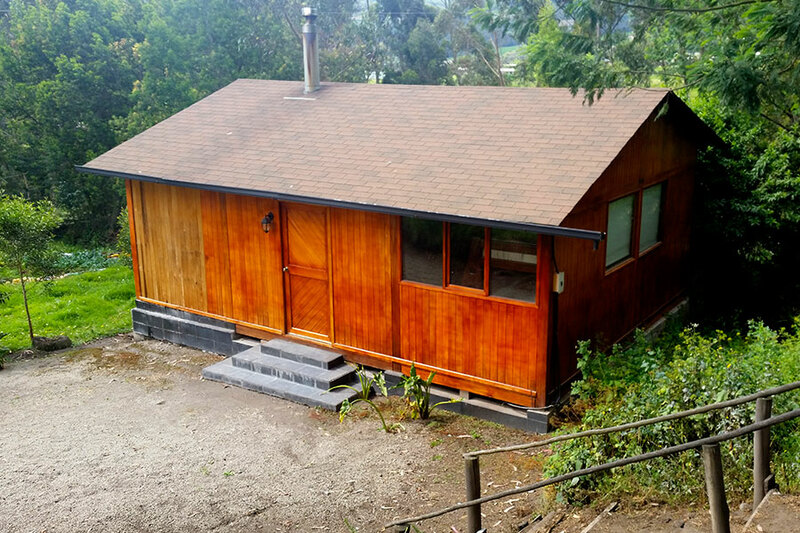 This cabin is surrounded by nature, with beautiful views and the animals of the inn. 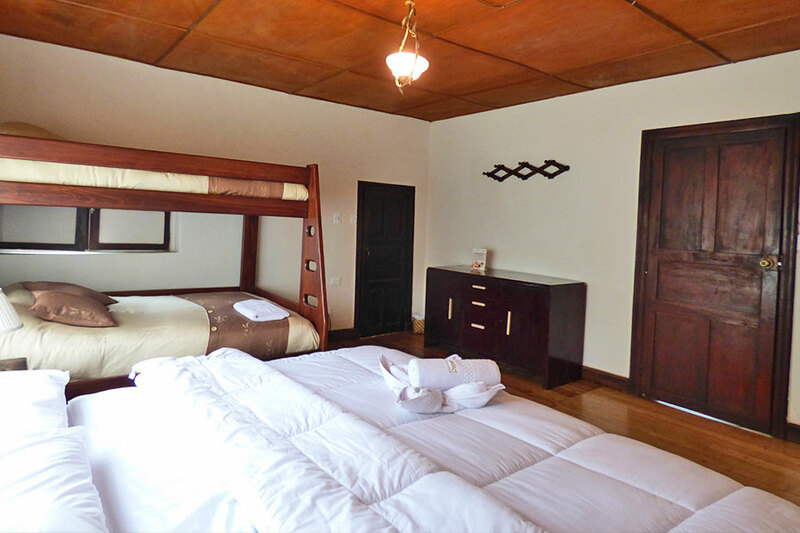 Here, the little ones can enjoy all the attractions that the property has. 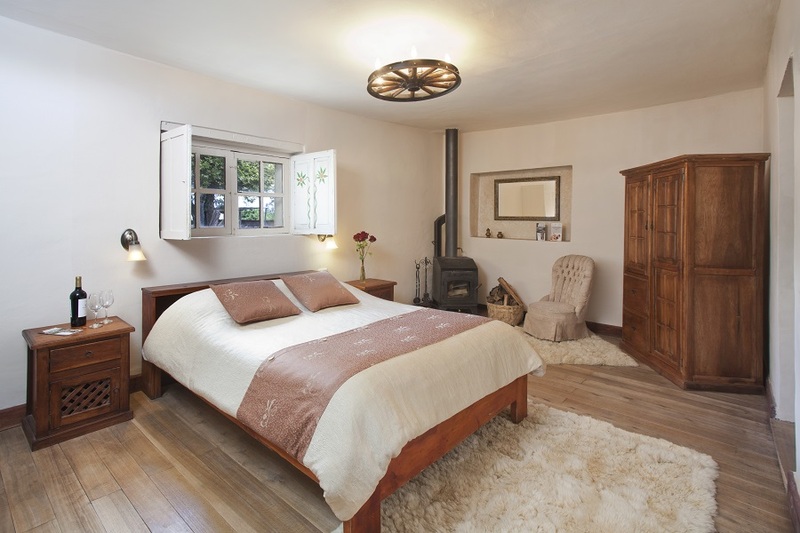 It has a double bedroom and a sofa bed. 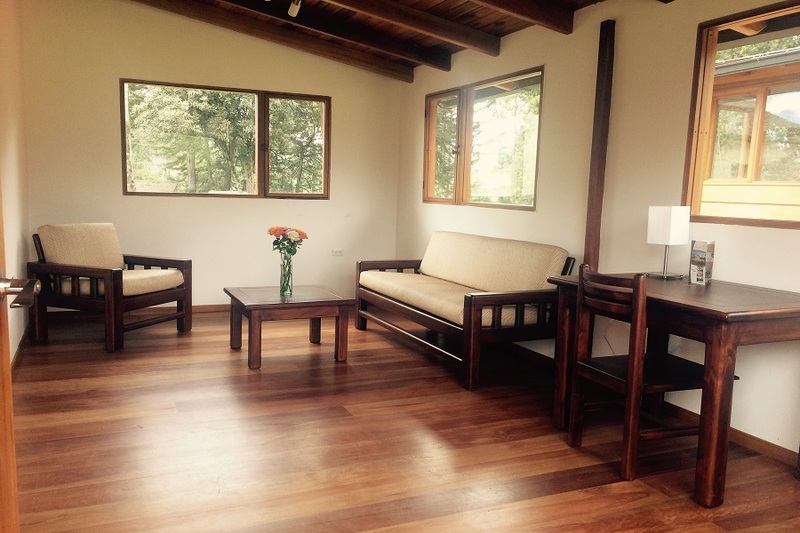 It also has a large living room where you can relax and enjoy your time. 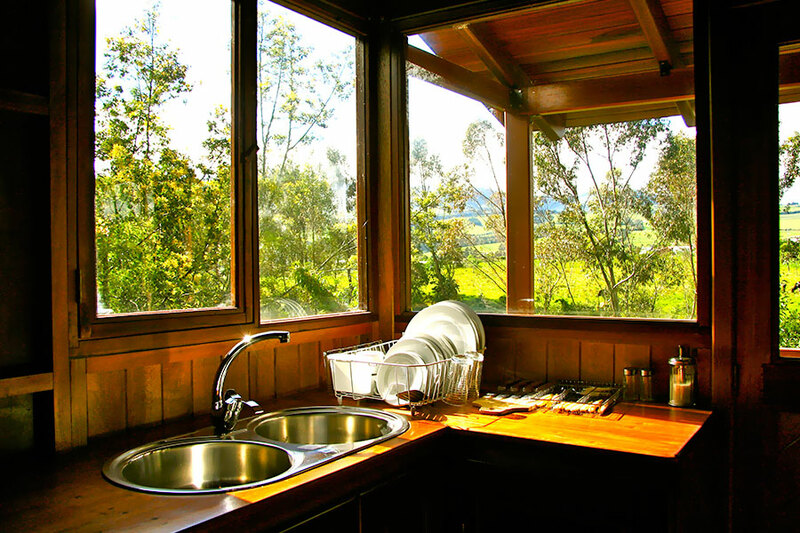 Felicia cabin is a small and beautiful cabin furnished to make you feel like in your own house with views to the entire property and its gardens, as well as having large green spaces and being able to enjoy all the facilities of the inn. 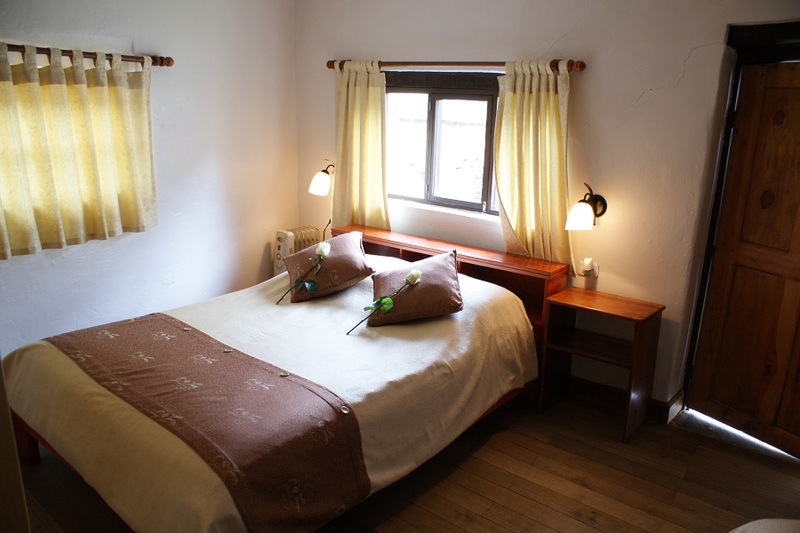 It has a bedroom with a double bed and a comfortable living room to relax.